I'm not sure if I've misunderstood something here, but it seems like it's only possible to set port mappings by creating a new container from an image. Is there a way to assign a port mapping to an existing Docker container? I'm also interested in this problem. As @Thasmo mentioned, port forwardings can be specified ONLY with docker run command. Other commands, docker start does not have -p option and docker port only displays current forwardings. NOTE: The above, test02 is a new image that I'm constructing from the test01 container. Where the first 8080 is the local port and the second 8080 is the container port. You can determine the [hash_of_the_container] via the docker inspect <container_name> command and the value of the "Id" field is the hash. So you don't need to create an image with this approach. You can also change the restart flag here. If by "existing" you mean "running", then it's not (currently) possible to add a port mapping. You can, however, dynamically add a new network interface with e.g. Pipework, if you need to expose a service in a running container without stopping/restarting it. Not sure if you can apply port mapping a running container. You can apply port forwarding while running a container which is different than creating a new container. will start running container. This tutorial explains port redirection. In Fujimoto Youichi's example test01 is a container, whereas test02 is an image. (Using -P to expose ports to random ports rather than manually assigning). 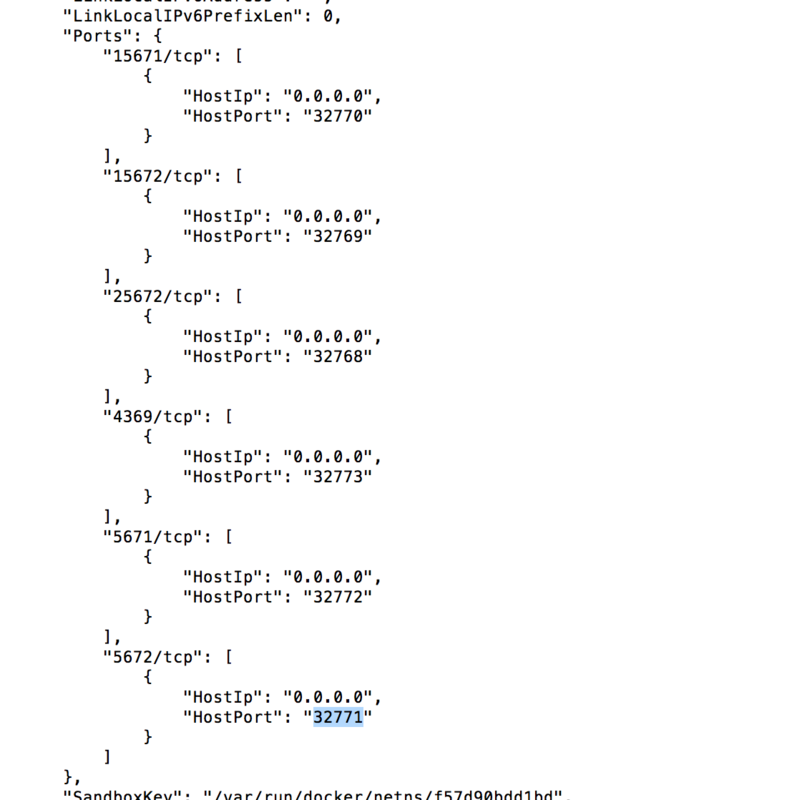 Editing hostconfig.json seems to not working now. It only ends with that port being exposed but not published to host. Commiting and recreating containers is not the best approach to me. No one mentioned docker network? Create a new network if your previous container not in any named ones. Copy the config to nginx container. Advantages: To publish new ports, you can safely stop/update/recreate nginx container as you wish without touching the business container. If you need zero down time for nginx, it is possible to add more reversed proxy services joining the same network. Besides, a container can join more than one network. If you run docker run <NAME> it will spawn a new image, which most likely isn't what you want. Restart your docker and it should work. we an use handy tools like ssh to accomplish this easily. I was using ubuntu host and ubuntu based docker image. Inside docker have openssh-client installed. Outside docker (host) have openssh-server server installed. 172.17.0.1 was the ip of the docker interface (you can get this by running ifconfig docker0 | grep "inet addr" | cut -f2 -d":" | cut -f1 -d" " on the host). here I had local 8888 port mapped back to the hosts 8888. you can change the port as needed. if you need one more port, you can kill the ssh and add one more line of -R to it with the new port. I have tested this with netcat. The other way around you if you are not comfortable with Docker depth configuration IPtables would be your friend. This is just a trick not a recommended way this works with my scenario because i could not stop container i hope will help you as well. You can also use $ docker run -P CONTAINER to map ports randomly while creating your container, but be careful with security ascpect ! go the settings page of the container, on ports tab, you can directly modify the published port there. Not the answer you're looking for? Browse other questions tagged docker port lxc linux-containers or ask your own question. How can I edit an existing docker image metadata? How do I open up a new port in an old docker container running in Docker for Windows?